You'll be £12.99 closer to your next £10.00 credit when you purchase The Men Who Breached the Dams. What's this? First published to acclaim in 1982, this was author Alan Cooper's first publication before he went on to become a prolific writer of Aviation history. 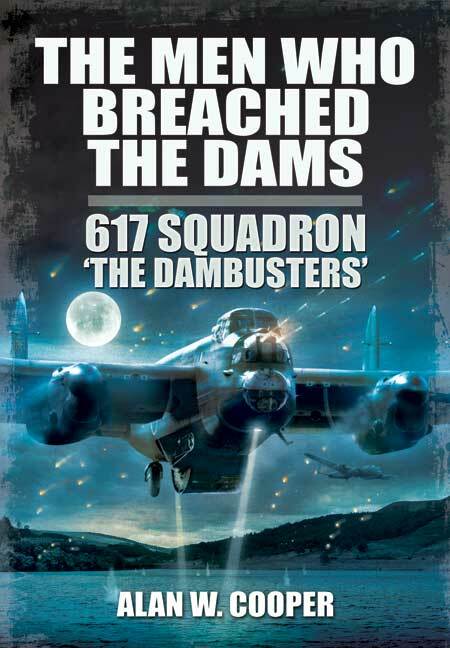 As we approach the 70th Anniversary of the Dam Buster Raids, this re-print will make a timely addition to the library of any enthusiast wishing to mark the occasion, and any curious readers who wish to expand their knowledge of this key operation in World War II history. Painstaking research went into every aspect of an operation which at the time and ever since has captured the imagination of the world. This forms an evocative history of one of the most successful operations of the Second World War carried out by the famous 617 Squadron led by Guy Gibson. This account includes the whole lead up to the final mission; the development of the bouncing bomb, the forming of 617 Squadron and the intense course of training carried out to make the operation a success. The raid itself is viewed from both British and German camps; many of the aircrew who took part in 617 operations give their accounts, as do several Germans, including Albert Speer, the Armaments minister. There is a remarkable eye-witness account of the raid from a man who was a gunner on the Mohne dam itself, telling of the damage after the raid and how he and his companions shot down one of the attacking aircraft. The investigation is completed by an in-depth study into the effects of the operation, how far it proved successful and the true extent of the devastation it caused. Interestingly, there is an eye-witness account of the raid from a man who was a gunner on the Mohne Dam.